Do you know Manga cafés? 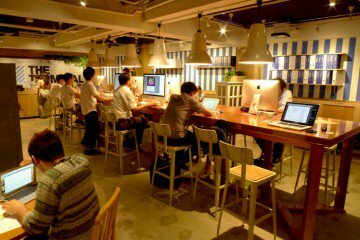 Manga cafés are 24-hour Internet cafés where people can read manga in a relaxing environment. Most cafes also provide additional service to enjoy, such as TV, video games and showers. 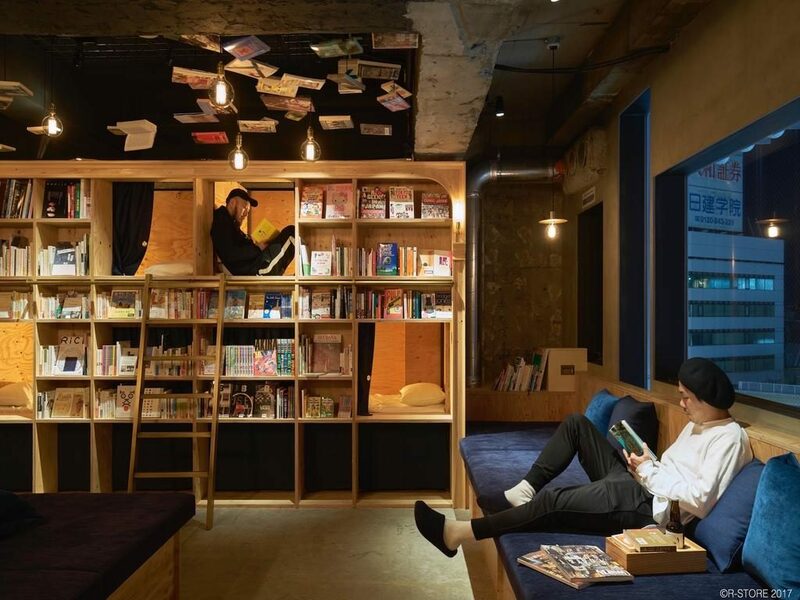 Over 70% of Manga cafes are used for overnight stay as an alternative of hotels. 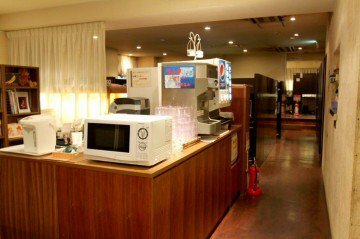 There are good reasons that Manga café has gained popularity all over Japan. This enjoyable and unique experience attracts travellers as well as the locals. 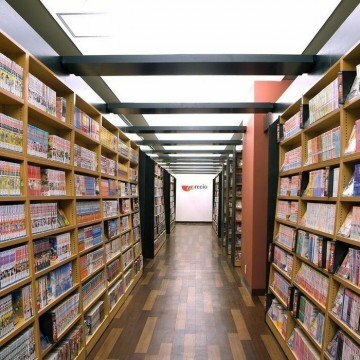 Hundreds and hundreds of manga cafés are in Tokyo. What follows are the 20 best options for a comfortable stay. 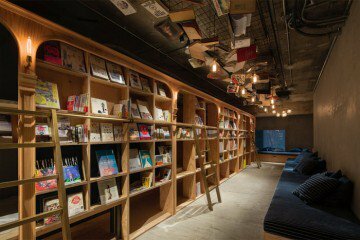 Customa café is a chain of manga cafes, has expanded all over Tokyo. All booths with automatic locks promise a highly secure private space. It provides female customers with much more relaxing time. Why not try our Launderette? Some Customa cafés have launderettes. It costs just about 200 yen for washing and 100 yen for drying clothes per 30 minutes. The facility is convenient for tourists who like to travel light. Even Japanese use it when they missed the last train. Customa café Sangenchaya offers private booths. It is a nice space to lie down for just relaxing. The booths give you a real comfort and fruitful time! Customa café rents clothing for resting at the cost of 150 yen, which is Japanese style home wear. You will feel more homely and relaxed. When using 12hrs or more, unlimited shower is offered. Shower is free for private booth users who stay for 3hrs or more. 350 yen for Users for seat in open area. Course you selected may not be changed after entry the café. Front desk never contact you even if you stay longer than booked.If extended for 2hrs and over, you are subject to pay the extension fee shortly after extension occurs. Kaikastu CLUB has got branches all over Japan. 50% discount for under 18 ‘s at weekdays only. Here is the best budget lodge for you! “Why not staying in our comfy booth having the look of Bali! All the rooms are locked by individual card key. With high security, Kaikastu CLUB serves as comfortable hide away. It’s the best place to chill out. We serve pampering treats includes Nano Care Steamer! The admission fee is free during a limited period. The price in the list does not include tax. 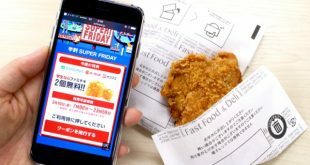 Note: Additional 191 yen is charged on Friday, Saturday, Sunday, the day before holiday and holiday.12hrs after entry, payment is required. Tucked away in Book and Bed Tokyo, you will find a serene urban retreat. 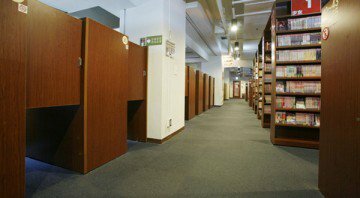 Our cafe has a luxury wall-to-wall library with over 1,700 books including of English. Relaxation begins here with your favorite book! You will be surprised our great choice of comics and magazines. If you are a tourist, you can also search where to visit tomorrow via free Internet. Armed with good books, you will never regret staying here. Booth Net Café an amp opened in Feb 2015, which is the blend of net café with capsule hotel. Norwegian-style rooms with wooden floorings and nicely decorated walls are a charm. The deco is pretty stylish. An exclusive booth for female only is also available. What if you missed the last train? Our shower rooms and power rooms can refresh you. After refreshment, why not try our various entertainment facilities? TV and free Wi-Fi will make a memorable stay! Seeking a real calm moment? Come in, chill out in Japanese style café! It was born from the Kyoto’s traditional inn. 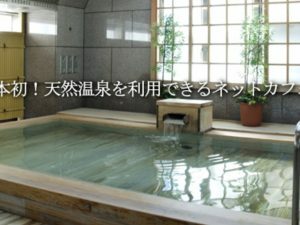 Designed with the Japanese relaxation, Zen, in mind, most foreign tourists fell love with us! 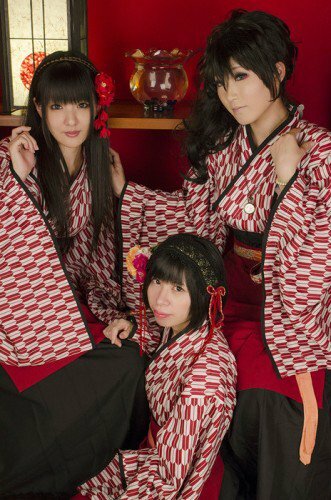 Female staff are called “Nagomi chaya Musume” literally, it means that Nagomi accommodation’s daughters. The staff works in traditional clothing, Yukata or Kimono, which is very unique. Surrounded with a good taste of traditional deco, you can experience in Taishyo period of Japan, which is about 100 years ago. It makes an unforgettable exotic stay! There are a range of facilities including a drinks bar and free Wi-Fi, available for 24 hours. The café boasts good BGMs, which will sooth and relax you whilst surfing the Internet. Our comfy booths are especially popular amongst click workers. One of the exceptional offers is the drinks bar. If you are interested in beer, a wide rage of Japanese beer awaits you here. Go on. Treat yourself! 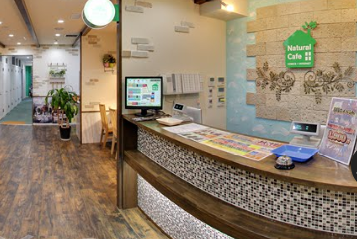 Comics Ann Polan x Polan is the first Internet café with a natural hot spa in Japan. There are a vast number of booths and comics. After a spa experience, how about trying our comics out? Armed with a range of comics, it would be nice to while away an entire day. you to recover from tiredness after a long walk. The spa is a large and clean with chic interior, in which the Jacuzzi and sauna will transport you to a different level of relaxation. If you seek a slice of indulgence, why not drop in? 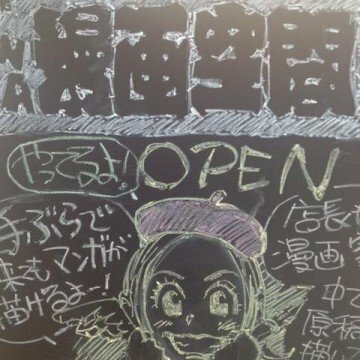 A Unique manga café! Why? Waai is the place where authentic Italian cuisine is served. You will enjoy good hospitality. Besides our handmade pasta, fried rice with a burger is a real deal. It will fill you up with full satisfaction. A variety of drinks including espresso made from a famous Italian brand, and a variety of teas served with the finest leaves are highly recommended. The meal is delivered to your room if you like. It is one of the most popular manga cafés, which has been expanding all over Japan. 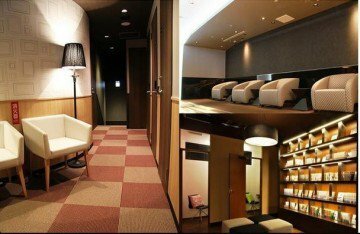 Shinjuku hijia has a wide range of booth including a theatre room. 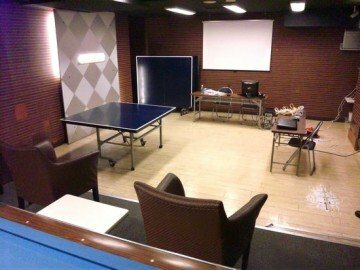 To make your time more enjoyable, it provides good entertainment facilities, such as darts and billiards. Just have a fun! What else is here to do? 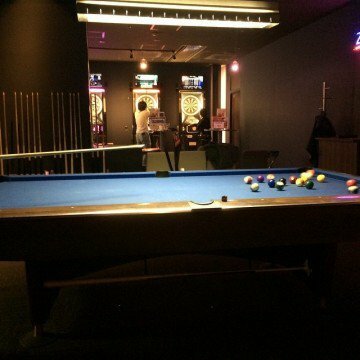 Besides absorbing yourself in comics or net surfing, you can enjoy darts and billiards! Surely it will give you a breath of fresh air. Take some time off from the hectic lives! Just try it out! Stylish café chain, Gran Cyber Cafe brings a vast number of customers into their doorsteps. It is located in the middle of the popular town. The highlight is a lovely cityscape views from our window seats. There is an amusement room on the 3rd floor. Having enough space to accommodate a large group, the locals often use it for a second party, after indulging in comics, you may need a little bit exercise. Enjoy! 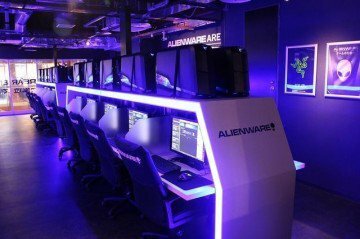 Here is the place for gamers. Wipe Yoyogi has been registered as an official online game shop. Needless to say, the emphasis is on the quality of the games that they provide. 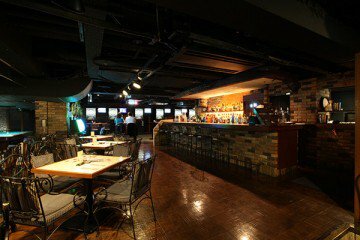 The 34th Net Café Battle Banquette is held in Wipe Yoyogi North exit café on the 8th August. We hold events for board gamers. It is situated in Akihabara where is a famous electric town. The café is a great, not only for shoppers but also for people who want to enjoy a variety of entertainment. They also serve inexpensive but tasty foods. All-you-can-eat restaurant includes unlimited ice cream. It makes your day. They offer delicious lunch includes top-notch Japanese curry. It is available from7 AM to Noon. Lunch of the day is a must-try. Iwaki was opened in 2007. They often hold interesting events. A brilliant alley of comics is a characteristic. If you wish, the shop staff will advise you how to find what you want. No wasting time! Indulgence starts straight away. What a nice service! 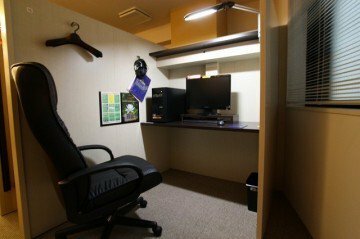 “ All the rooms are private which was designed with the concept of “Your second home.” Whether you have tired from working or simply need to take some time off from a daily routine, our private booth serves as an oasis of calm. You have many luggage? No worries! We offer a twin seat at the cost of a single seat. You can stretch your legs out. It is comfy. 910 is located in Ikebukuro. All rooms are private booths that make you feel more personal than a shared room in hostel. It guarantees that your stay turn into a real chill-out. There are a variety of offers includes a student discount. If you want to save time for searching books, go to 910 website, just click the link and have a look. You will find your favorite immediately. 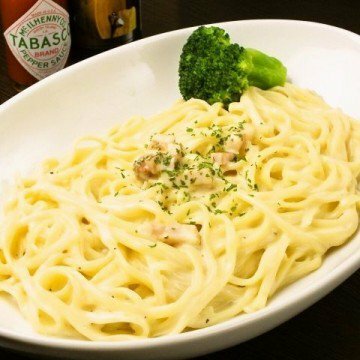 Mambo Plus is originated in Mambo which is one of the most popular café chain. 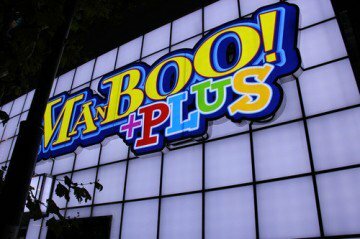 As “Plus” indicates, Mambo Plus Kanda is more powerful and enjoyable than the original. It has a good reputation for good service, providing various facilities for business use. We lend a room for a special event, such as a birthday party or a live show. Please feel free to contact the cafe. Natural Café stands in Nishi-Kasai. Wooden flooring and deco based on natural colour is pretty and attract lots of female customers. Their Twitter is updated regularly to inform you of exciting offers. Hotels on the grounds of Disneyland are very expensive. Natural Café is great for an inexpensive, but stylish stay near to a magical land. 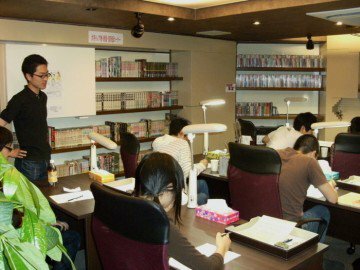 Manga Kukan is of real character, providing workshops for manga writing. The kit for the workshop is free. 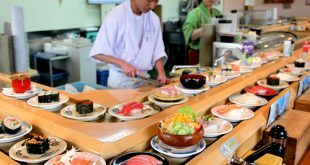 If you seek something for a unique experience in Japan, here is the place to go. Skills level does not matter. Everyone can enjoy it! Comics are carefully selected by the shop staff. 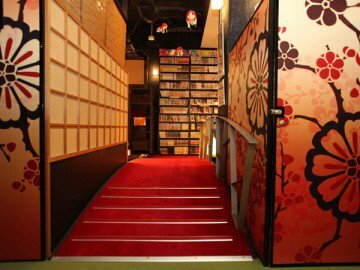 It’s guaranteed that you will never regret an overnight stay at Manga Kukan Tokyo-Koenji. It is a new type of manga café, located nearby Oimachi station. Comic Buster caters to those who not only read manga but those who want to be healed by cats. The cat cafés are on the 4th and 5th floor. Pretty cats transport you to a peaceful moment. 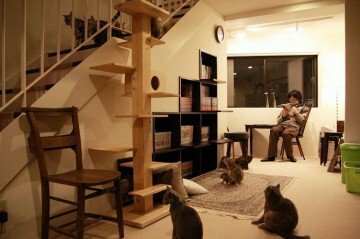 Their unique service, Cat café with furnished with modern interior. If you are looking for something different, you’ve just found the right one. How about making an unforgettable memory with them? 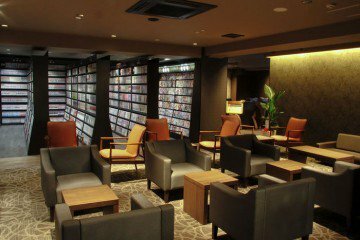 Kona Café is located nearby Yostuya Sanchyome station, adjacent to a DVD rental shop. There are five types of booth including a booth with massage chair. Shower room is compact but nice and clean. A variety of comics and magazines are available. It looks like a mini library at high school. As Yotsuya is smaller than other towns, not so many people know about this Café. If you don’t want to be in a waiting list, here is the best place to veg out! Manga café are all over Japan. I hope this helps you to find the best cafe for you. 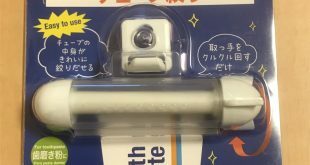 Enjoy a unique experience in Japan!